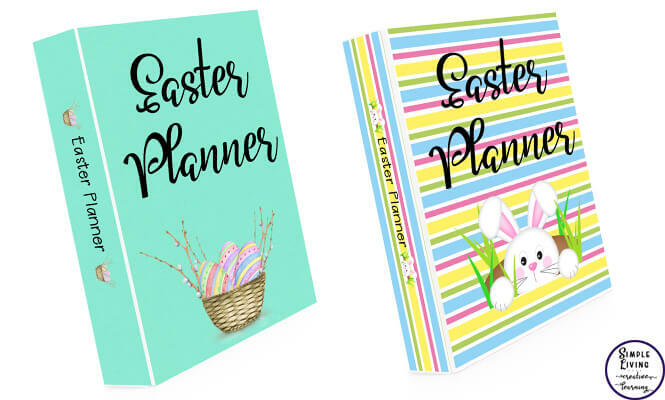 The holidays are such a busy time of year, making it hard to stay on track with organising everything you need for a good Easter; the budget, events and gifts for those special ones in your life. 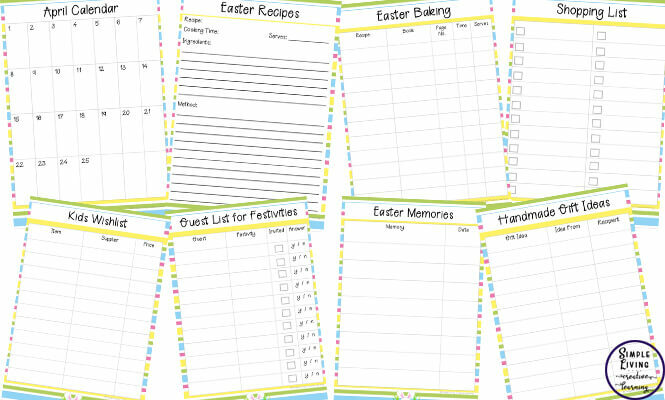 This Printable Easter Planner is a great tool that will help you keep on track this festive season. It is a sanity saver for making this festive season stress-free and manageable. 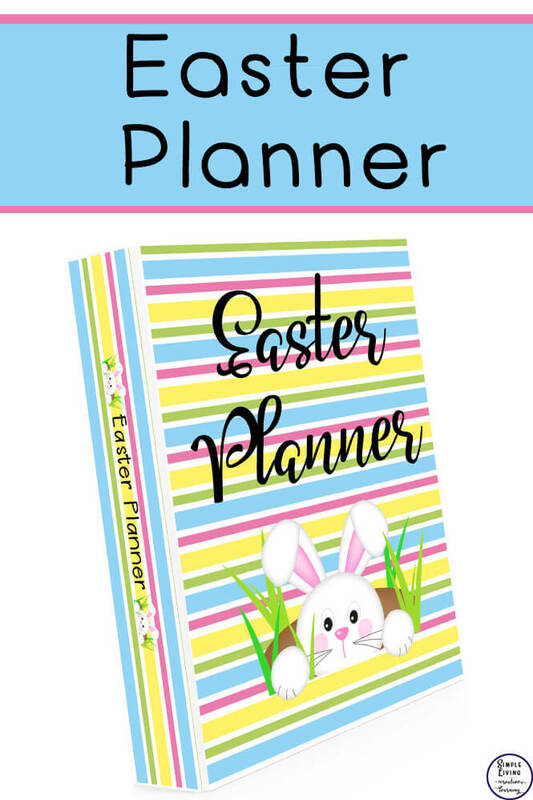 This 30+ printable Easter planner is undated making it a great buy as you can print it out every year to keep you organised. I prefer to print this out on white card as it is a little stronger than paper. Once you have chosen your covers, print the out and place in the front of a ring binder. 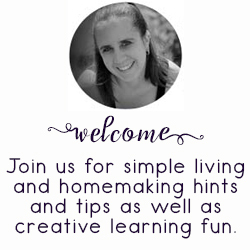 Then print out the pages of the rest of the printable pack that you will need. You can print them all out multiple times depending on how many you think you will need. Punch a hole in the pages and place them in your ring binder. Alternatively, you can place each page into a plastic sleeve. You could also laminate the pages and use a dry-erase marker which can then be erased ready for planning next year. Being that this planner is a digital download (pdf file), you will instantly receive your purchase and can start planning and organising straight away! Your hardest decision will be which of the two gorgeous designs will you print!